We woke up (very) early everyday in order to beat the crowds and cover as much ground as possible. On our very first sunrise drive into the park from West Yellowstone, we spotted a herd of bison near the side of the road. Slamming on the brakes, we just sat and observed them grazing and going about their day. 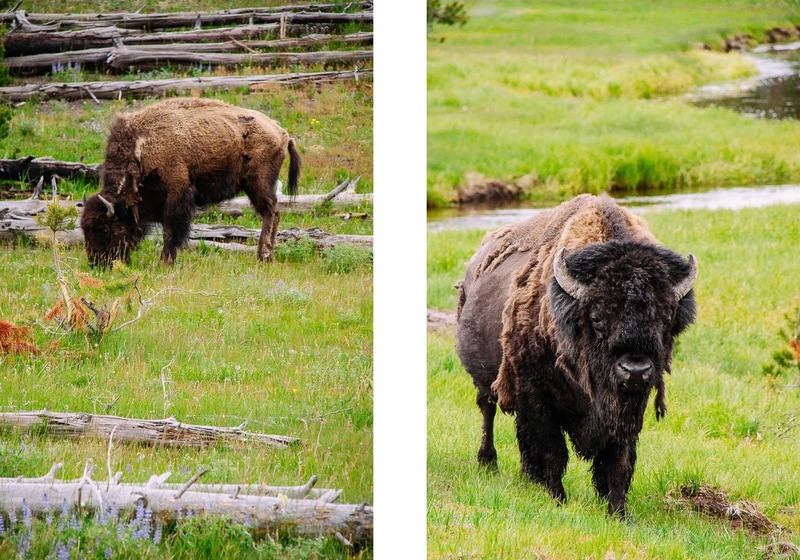 Once we continued on our drive into the park, it didn’t take long for us to find out that bison are everywhere and are easily the most abundant of Yellowstone animals. 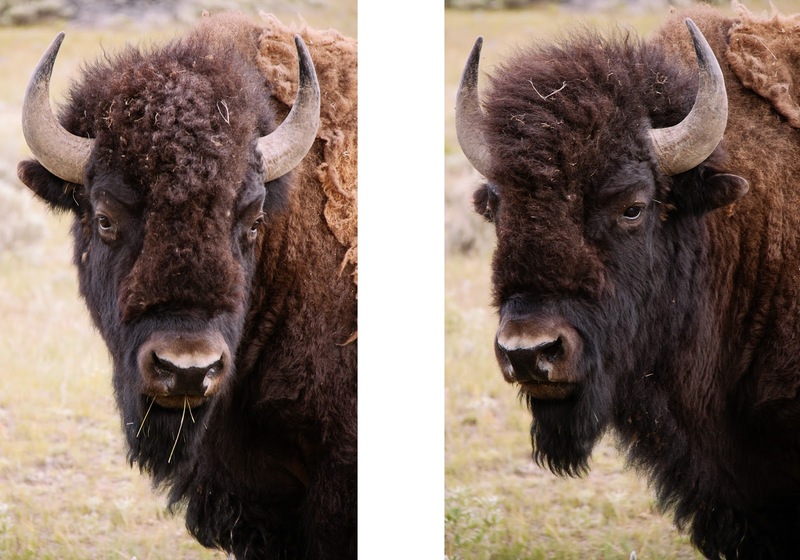 If you don’t see a bison on your trip to Yellowstone, you are definitely doing something wrong. A line of cars parked along the road was a sure sign of an animal sighting in that particular area. At first, we would join the crowd and snap countless photos of a brave elk or an antelope that was hanging out close to the road. Later on in our trip, unless it was an animal we hadn’t seen yet, we would just continue driving. After you have seen a few elk or antelope, you pretty much have seen them all. We were very fortunate in the end and managed to add a few bears (sorry, no photos) and a moose to our list of animals. 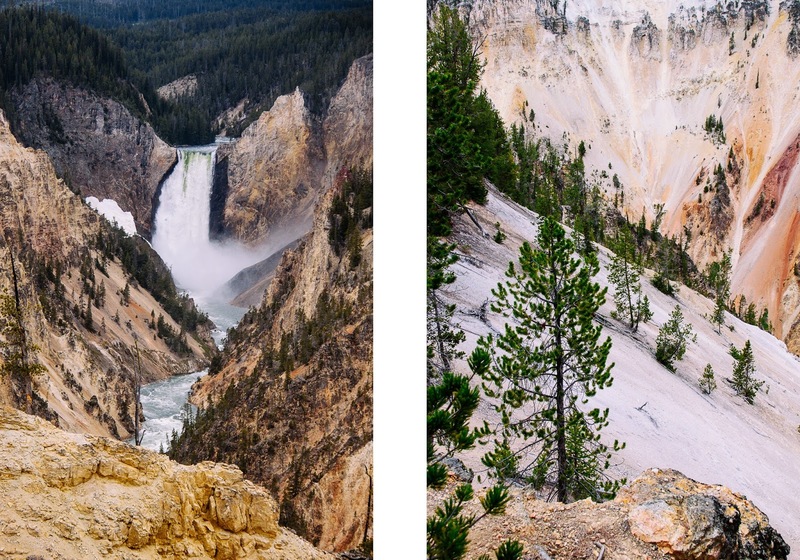 In between our numerous animal sightings, we had to see the many jaw dropping canyons, geysers and hot springs Yellowstone offers its visitors. We certainly were not disappointed by this amazing place.